Even in the summer months, dry skin can be an ongoing struggle. Luckily there are lots of things you can do to restore hydration to your skin: invest in a good moisturizer, avoid products with alcohol, and cut back on hot showers. But even if you do all those things, there’s still one major mistake that you may be unknowingly repeating every night: washing your face the wrong way. Yep, it turns out that washing your face isn’t actually that simple when you have dry skin. Use the wrong products and you could be wrecking your skin and making it drier than it ever. Here’s how to wash dry skin the right way; your face will thank you for it. 1. Use a hydrating cleanser. The most important change you can make is also the most obvious: switch out your cleanser for one best suited for dry skin types. You may find that this simple change reduces your skin’s dryness immediately, since so many people use overly harsh, drying cleansers without realizing the effect they’re having on their skin. If your skin feels uncomfortably tight or itchy after cleansing, then your cleanser might be stripping your skin and leaving it dried out. The tricky part is finding a cleanser that is gentle and hydrating while still effectively removing dirt and makeup. Luckily there are a few gems out there, and CeraVe Hydrating Cleanser ($9.49) is the crowning jewel. Gentle and hydrating, this cleanser still removes makeup and impurities like an absolute champ, all without stripping your skin. 2. Try cleansing with oil. Not to be confused with the popular oil-cleansing method (which may or may not be good for skin), cleansing with oils can be an affordable and natural way to take care of dry skin. Simply choose an oil (or blend of oils) that is fragrance-free, devoid of any added ingredients, and preferably organic. You can also blend your own combination of oils. Oils such as jojoba, argan, sweet almond, and avocado oil are all great choices, but ultimately you may have to try a few different options before you find one that your skin loves. As for the actual process, it couldn’t be easier: massage the oil onto your skin until it has broken down all of your makeup. Then rinse it all off with warm water or wipe (don’t scrub!) with a wet, warm washcloth. This will leave your skin feeling soft, supple, and (most importantly) moisturized instead of stripped dry. 3. Don’t be afraid of toners. Toners can impart great benefits to the skin—hello, smaller pores and clearer skin—but they can also be quite drying thanks to high alcohol content. That doesn’t mean you should omit toners from your cleansing routine altogether, though. They can actually help restore the pH balance of your skin, reducing dryness! The secret? Look for a toner that has zero alcohol in it. We love Murad Hydrating Toner ($27) for it’s wonderfully soothing and hydrating effects. If you’re on a budget, Thayers Alcohol-Free Witch Hazel ($10) is also a great choice. 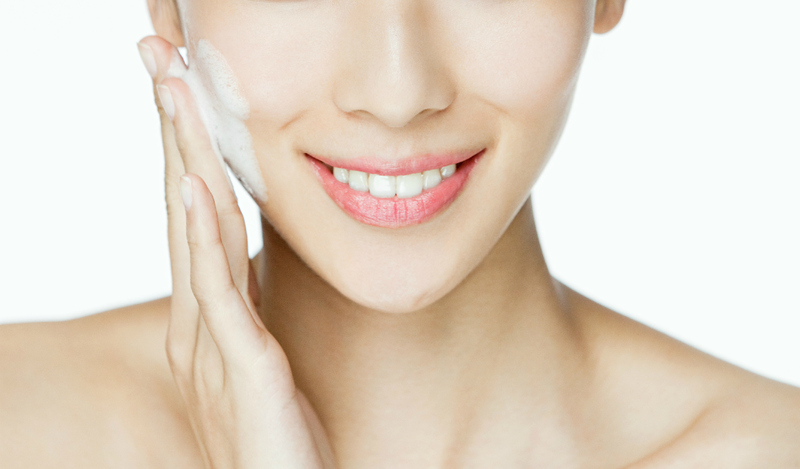 Simply apply the toner on dry skin with a cotton ball after cleansing but before moisturizing. 4. Choose (and use) makeup removing wipes carefully. Also, when you have dry skin, you need to be picky when it comes to choosing your wipes. Anything with alcohol will be drying, and it’s best to avoid fragrance as well since it can be irritating. Alcohol and fragrance-free baby wipes are an excellent and affordable option, but you could also choose wipes that give a little extra hydration boost. We recommend Neutrogena Hydrating Makeup-Remover Cleansing Towelettes ($5.99). A handy tip: Try massaging some oil on your face before using a wipe. It will help to remove more makeup than the wipe on its own, and will also give an extra moisture boost to your skin. If you have dry skin, you never want to exacerbate the issue by treating it too harshly. If your skin is so dry it becomes flaky, it might be tempting to scrub it with exfoliators or a rough washcloth, but you’ll end up doing more harm than good. Instead, follow this gentle routine: Wet your face with warm water (never hot, as that will dry your skin out further) and then lightly massage that hydrating cleanser we know you’re using now into your skin. If your skin really needs a little scrubbing, try this Sephora Silicone Pore Cleansing Pad ($6). It will help slough off the dead skin from your face without over-scrubbing. Then rinse your face and pat skin partially dry with a soft towel—never scrub or rub your face dry. Finally, right after cleansing, be sure to use a good moisturizer to lock in hydration. Voila! Your dry skin will be feeling (and looking) amazing in no time.